Registration is now open for the annual Bringing the World to PA event. The event will be held again this year in Cambria County, at the Sunnehanna Country Club. 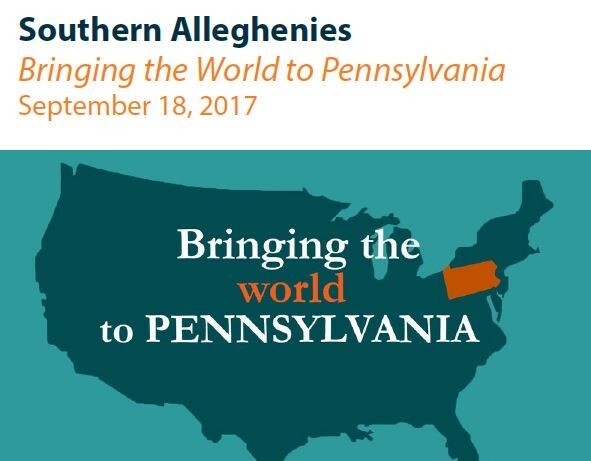 BTW2PA is a once a year opportunity for area business in the region to meet one-on-one with 14 Pennsylvania Authorized Trade Representatives covering over 46 markets. Please see the full flyer and registration by clicking the corresponding links. Registration is due by August 31, 2017. Concurrent Technologies Corporation (CTC) is recognized as one of the world’s premier nonprofit applied scientific research and development organizations for the creation and implementation of advanced manufacturing technologies. The skills and processes developed at CTC will be leveraged by the new Center for Advanced Nuclear Manufacturing (CANM) to benefit the U.S. Small Modular Reactor/Advanced Reactor (SMR/AR) industry. There will be a two-day event on August 23rd and 24th in which a Nuclear Suppliers Workshop and an Open House will be held. Sessions will be conducted by national speakers representing various components of the nuclear industry geared toward strengthening the nation’s advanced nuclear manufacturing network. The day’s activities conclude with an optional (no host) LA Dodgers at Pittsburgh Pirates baseball game. The Open House will feature a ribbon cutting, tours, and an opportunity for visiting suppliers to meet one-on-one with CTC/CANM personnel to learn how to become part of the Advanced Manufacturing network. For more information on the Nuclear Suppliers Workshop and CANM Open House and to register, click here. Organizations interested in attending only the CANM Open House in Johnstown should contact CTC through this contact form. The JARI Microloan Program recently launched an online application to apply for business funding! The program is open to any small business in Bedford, Blair, Cambria or Somerset Counties and can be used for equipment, inventory, working capital and a variety of other purposes. Following successful application and review, companies can receive a loan of up to $50,000! Depending on project locations, JARI’s sister corporation, JIDC, can also assist businesses with identifying additional sources of revenue for larger projects. 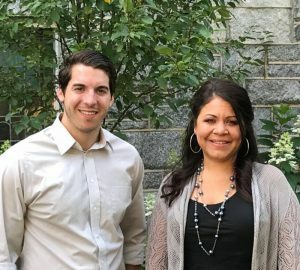 The Greater Johnstown/Cambria County Chamber of Commerce and Vision2025 announced a partnership last week to expand marketing efforts and enhance the online presence of both organizations. Steve Jones joined the Chamber & Vision2025 teams as the new Digital Content Coordinator, a shared position between the two organizations designed to create an enhanced online and social media strategy. Jennifer Tiffany transitions from her role as the Membership Relations Manager at the Chamber to the Communications Director of this new collaboration. “We’re excited to have this new team work on our collaborative effort with Vision2025 to market our region and to tell our story of Johnstown and Cambria County through traditional, digital and social media,” Mike Artim, Chamber President & CEO. For more information on what Vision2025 is or how you can get involved, visit their website at www.johnstown25.com. Effective now through December 31, 2017, the Pennsylvania Industrial Development Authority (PIDA) is offering qualifying businesses loans at a 2% interest rate, fixed for the full term of the loan. Uses of this program includes land and building acquisitions, construction and renovation costs, machinery and equipment purchases, working capital and accounts receivable lines of credit, multi-tenant facility projects and industrial park projects. Congratulations to the JARI Procurement Technical Assistance Center (PTAC) program on receiving an outstanding rating during the most recent annual review. Each year the PTAC program is evaluated by the Defense Contract Management Agency (DCMA) in four core categories including Performance, Management, Technical and Financial. The rating of “Outstanding” is the highest possible rating and is defined as “The recipient has an exemplary program that complies with the cooperative agreement’s terms and conditions and contains multiple strengths. The PTAC could serve as a model for other recipients.” The JARI PTAC received the outstanding rating in each category as well as overall. Congratulations once again to Lenora Leasure, PTAC Program Manager, and the entire JARI PTAC team. 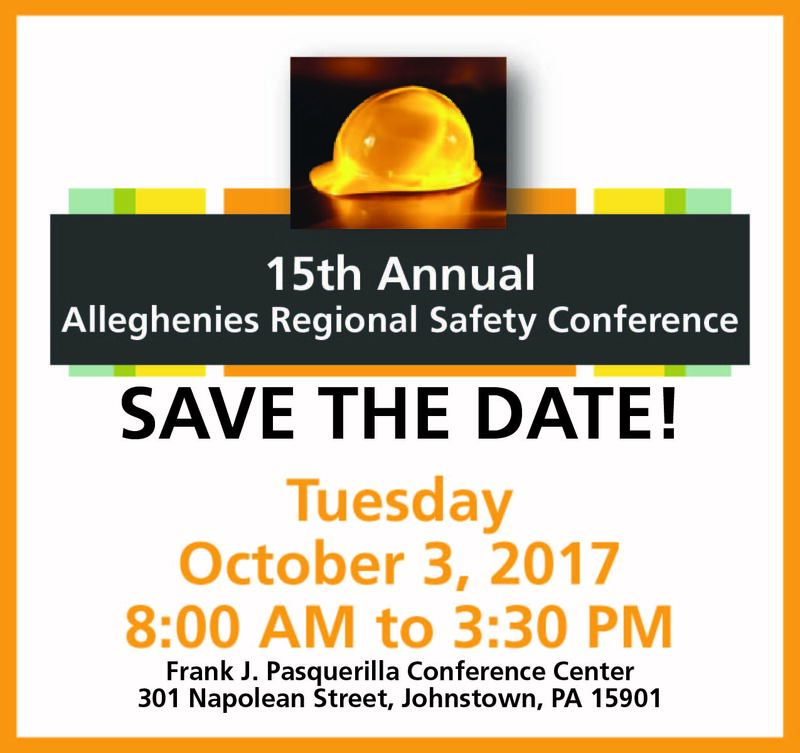 The 15th Annual Alleghenies Regional Safety Conference will be held on Tuesday, October 3, 2017 from 8:00 AM to 3:30 PM at the Frank J. Pasquerilla Conference Center, Johnstown, PA. This year’s opening session, Safe 4 the Right Reasons, will be presented by Wylie Davidson, Motivational Speaker and Trainer with Dival Safety. Safe 4 the Right Reasons breaks down basic human nature, wiring and instincts and delivers a personal motivation to each attendee to value their own safety. It is personal for every attendee and can be incorporated into all of your safety messages. Attendees will have the opportunity to visit the vendor booths and take part in the workshops that will be going on throughout the day. Workshop topics, keynote speaker and registration information will be released soon.